This book offers a unique look at the phenomenon of Charles Bukowski, the battered and scarred postal clerk, odd-jobs man, and lowly factotum who became the best-known "underground" writer in the English language. His work—raw, crude, heartbreaking, and hilarious—has inspired imitators, emulators, sycophants, and detractors. This book chronicles the man, the myth, and his work. 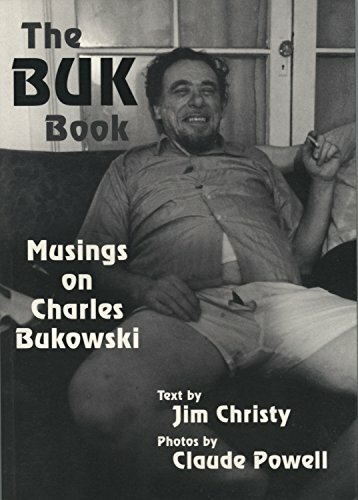 The BUK Book offers a unique look at a phenomenon: Charles Bukowski - BUK - the battered and scarred postal clerk, odd jobs man, and lowly factotum, became the best-known "underground" writer in the English language. Jean Genet called him "the best poet in America". His work - raw, crude, heartwarming, and hilarious - has inspired imitators, emulators, sycophants, and detractors. Until now, everything written about the man has suffered accordingly. In The BUK Book, Jim Christy cuts through all the crap, and writes engagingly about the man, the myth, and his work. The book features twenty-four photographs, all shot by Claude Powell, Bukowski's confidante and drinking buddy. Jim Christy is the author of The Long Slow Death of Jack Kerouac. Claude Powell is a photographer who was also a friend of Charles Bukowski.